One of the common mistakes I make with big companies when working on “strategy” or “direction” is that they are capable of pursuing ALL possible strategies in a time of market turmoil. 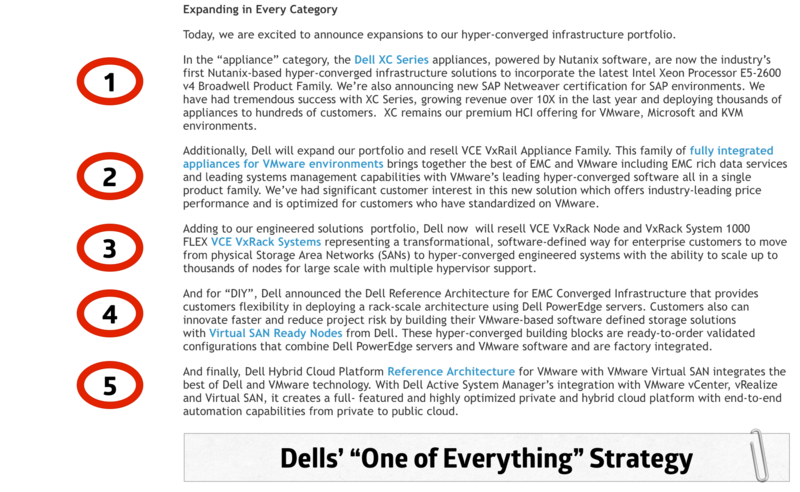 A great example of this is in the following excerpt from the Dell press release on Hyper-Converged platforms today. 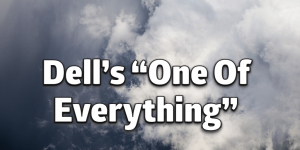 Dell has FIVE different platforms for offering some form of Hyper-Converged Infrastructure. Its up to you to make a decision about which type of HCI you want to buy, Dell has one of every HCI strategy for you to choose. For networking, Dell is following the same path. FTOS for the custom operating system, OS10 for the open-source platforms on wide range of different hardware including merchant silicon and custom silicon. Again, its up to you to make a decision about which type of networking you want to buy. One of Everything. One vendor for all your choices. One throat to choke. One sales team to handle.